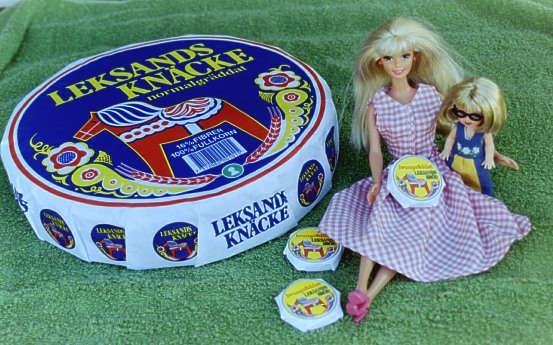 Barbie is holding a smaller version of our Hard bread-package with "Leksandsbröd". The yellow box has a browner version and the blue a less baked bread.  Big sister's gingham dress is Kattis' Design. 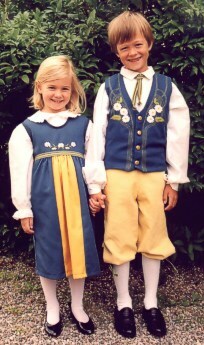 If you click the links below you can see two of my tiny Sverigedräkten Costume-creations. The first is for girl-dolls (seen above) and the second to boy-dolls.